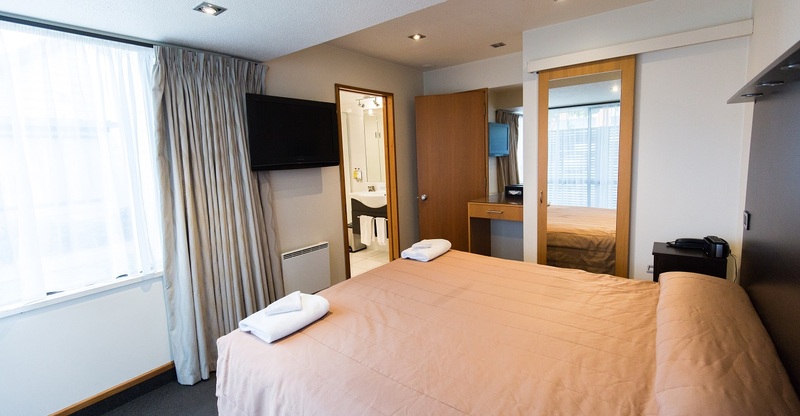 The original accommodation complex at Airport Gateway was designed with plenty of room to move and all the facilities you expect from modern motel accommodation. We have a number of options in the Economy wing, ranging from one bedroom units with separate living and kitchen, through to studio style and multi-bedroom options. The Premium Economy units were fully refurbished to a high standard 5 years ago. We recommend the 2 bedroom and 3 bedroom options for larger family groups or executive guests who are planning a longer stay in Christchurch. 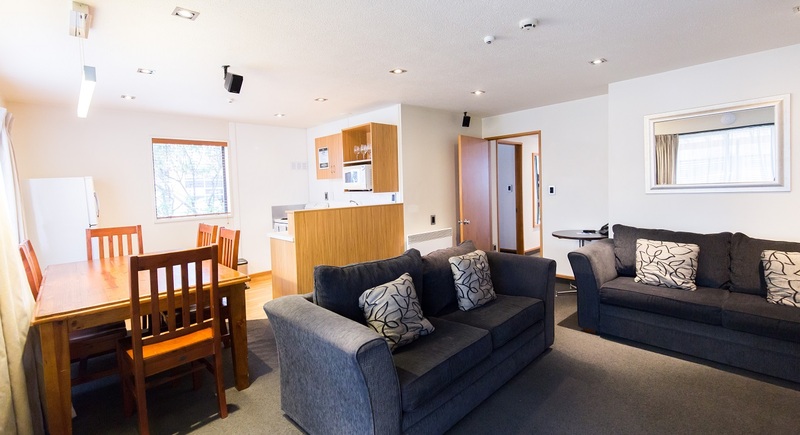 We recommend this 2 bedroom unit as a great option for family groups, couples travelling together or executive guests who are planning a longer stay in Christchurch. The units have fully equipped kitchens with a dining table as well as an outdoor dining area with table and chairs which is a great spot to relax and unwind. The 50″ TV and surround sound in the lounge area offers 7 channels of SkyTV and has plenty of seating for your whole group.